The formation of memories has always been a topic of interest in psychology. It is worth noting that in humans, there are both true and false memories. The study of the latter should be a matter of concern especially for students who wish to work in areas of psychotherapy and counseling. Knowing how and why false memories are formed could help them deal with their patients’ traumatic experiences, for example. What’s more, the study of this topic can help forensic psychologists in telling apart true experiences from the false ones when solving numerous cases. This is why writing an essay sample on false memories could be of use to psychology students. Below is a sample of psychology essay example dedicated to false memories. False memories occur when people take a certain mental experience for a real past experience. When people are asked to describe something that happened at a particular time, they rarely provide accurate answers that fully comply with objective reality. Their memory will be altered by other post-event information, experience, or memories. How does this happen? What are the possible consequences? Can false memories be artificially created? If yes, then what could be the possible consequences? This essay will address all of those questions below. Those who have watched the movie Inception might be familiar with the idea that memories can be artificially created in humans. This occurs much more commonly and easier than it is depicted in the film. Simply speaking, information, which we receive following a particular event that has already been imprinted in our memory, distorts our memory of this event. It can happen naturally and artificially. In fact, there have been studies of false memories and their intentional creation. Below are some examples. In the 1990s, a so-called “Lost in the mall” technique and experiment was suggested by E. Loftus and colleagues. In the experiment, the researchers asked a 14-year-old boy Chris to write about four of his childhood memories every day. Three of those memories were true, and the fourth was false. It involved Chris being lost in the shopping mall. During the experiment, his older brother was helping him to “reconstruct” the false memory. At the end of the experiment, Chris had constructed a realistic and detailed story of how he was lost in a mall and then reunited with his family. When the boy was told that this memory was a false one, he could not believe it for some time. The experiment with a shopping mall was reenacted with different subjects and with slightly varying procedures. Although the ethics of the experiment were questioned, it made a significant contribution to the study of false memories. Our brain’s capability to dramatically alter the real events in our perception post factum allows us to both forget some events and substitute them with others. This can apply, in particular, to traumatic memories. By changing the traumatic ones to neutral, people might try to cope with negative experiences. On the other hand, as the experiments above have demonstrated, people could also be artificially traumatized by false memories. Counseling psychologists should be especially attentive to such matters. 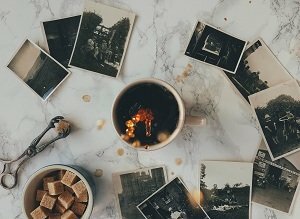 The study of false memories in humans and their formation can be helpful in various areas, from general psychology theory to forensic psychology and psychotherapeutic counseling. It is important to remember that people’s memories of actual events are always modified to certain extent by information that follows. It will not always result in generation of false memories, but it surely can. That is why it is especially important to understand the nature of false memories, understand their origin, and be able to distinguish them from the real ones. Bjorklund, D. F. (2000). False-memory Creation in Children and Adults: Theory, Research, and Implications. Psychology Press. Brainerd, C. J., Reyna, V. F. (2005). The Science of False Memory. Oxford University Press. Coan, J. A. (1997). Lost in a Shopping Mall: An Experience with Controversial Research. Ethics & Behavior, 7(3): 271-284. Johnson, M. K., Raye, C. L., Mitchell, K. J., Ankudowich, E. (2011). The cognitive neuroscience of true and false memories. R.F. Belli (ed. ), True and False Recovered Memories: Toward a Reconciliation of the Debate. Springer Science & Business Media, 15-52. Loftus, E. F., Coan, J., Pickrell, J. E. (1996). Manufacturing false memories using bits of reality. In Reder, Lynne M., ed. Implicit Memory and Metacognition. Lawrence Erlbaum. Loftus, E. F., & Ketcham, K. (1994). The myth of repressed memory. NY: St. Martin’s Press. Loftus, E. F., Pickrell, J. E. (1995). The formation of false memories. Psychiatric Annals, Vol 25(12): 720-725.